Notorious lawyer Eric Silwamba has continued ‘reminding’ Supreme Court judges to imprison Gregory Chifire for at least six months in order to intimidate anyone who is thinking of fighting rampant corruption in the judiciary. And Silwamba has secretly recorded all the judges and Stanbic officials he has met over the Savenda versus Stanbic bribery scandal. Meanwhile, Stanbic bank Zambia and some Supreme Court judges have assigned Lusaka lawyer John Peter Sangwa of Simeza and Sangwa Associates to defend two Stanbic Bank employees who were arrested by Zambia Police for false swearing. The bank will provide Sangwa’s fees as he attempts to stop the police from prosecution the suspects. According to judiciary officials, Silwamba is on the case of Supreme Court judges urging them to jail the activists in order to save his tattered image. Silwamba and his law firm have been named in a scandal to bribe judges and in the financial intelligence report of 2017 (money laundering) but he has managed to make the judges fight his battles, even those who are not mentioned in the bribery. We understand Silwamba is keeping the records for use at the opportune time. ‘Even the Stanbic officials he met underground, he recorded them’, says our contacts. The two Stanbic Bank employees who were arrested for give false statements in court are Reuben Malindi and Mazuba Lungwe. And sources within the intelligence have confirmed that Standard Bank of South Africa (the parent company of Stanbic Zambia) has opened two bank accounts for Malindi and Mazuba in Pretoria in which US$150,000 has been deposited for each one of them. The sources further confirmed that John Sangwa has received twice that amount. On 18 July 2018, a combined team of the Anti- Corruption Commission (ACC) officers and Zambia Police’s Department of Frauds and Financial Crimes officers arrested Reuben Malindi and Mazuba Lungwe for Falsely Swearing before a High Court Judge contrary to Section 109 of CAP 87 (Penal Code) of the Laws of Zambia. One of the charges against the duo is that Malindi and Mazuba told the High Court Judge that there was no evidence of an error in the system of Stanbic Bank (Z) Ltd which caused the Savenda account to go into default. But a letter written on April 23rd, 2009 by a senor Stanbic Mr. Augustine Chigudu stated that the Stanbic Bank system in Zambia was faulty at the time Savenda management was servicing its loans. Further, the director in the same letter indicated that the failure of the Bank’s system caused the Savenda management loan repayment to go into the bank’s suspense account. This letter clearly shows that Malindi and Mazuba lied to a High Court Judge under oath which is a criminal offense under the Laws of Zambia. In the now infamous Supreme Court contempt of court case against Bishop John Mambo and Chifire, the same John Peter Sangwa is the star witness on behalf of the Supreme Court. It is difficult to see what Sangwa’s personal interest in this matter where he is now the defence lawyer, witness and reporter, in addition to be the lead praise singer for the Supreme Court. In the matter of false swearing brought by police against the two tanbic Bank employees, Reuben Malindi and Mazuba Lungwe, John Sangwa has been suspiciously granted an order by High Court Judge D. Bowa to stop the criminal prosecution of the two bank employees. 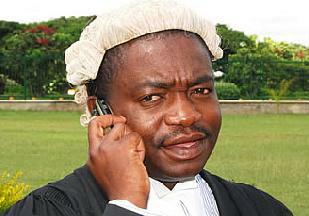 Recently, there has been a public outcry against corruption by some judges in the judiciary. There has even been calls by some sections of society for the Chief Justice Ireen Mambilima to step down.